Secure your home with a free CCTV security quote from Bob Pearce. Deal direct with the business owner. Get a quote from a company with 18 years of experience providing CCTV security systems for Brisbane homes and companies. Our CCTV security alarm systems are very user-friendly, high quality and customized for your needs. High quality high definitio CCTV cameras allow you to see what's important to you. 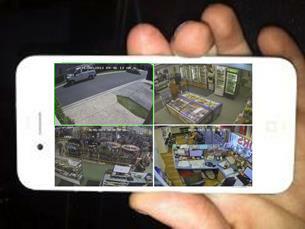 Control your home or business CCTV system from your smartphone or tablet. Add professional back-to-base monitoring, only $44 per month. At Brisbane Security Alarm Systems we’ve got a range of cameras for every need. Choose from analog and digital. We use only high definition cameras, up to 4K for maximum resolution. While digital delivers great high definition images, analog still has its place as a cost-effective system. For areas where 720p will suffice (medical waiting room, car park perhaps) we’ll recommend analog where it delivers a high performance and cost effective solution. Many cameras have night vision inlcuded. Expect night vision ranges of 20-50 metres depending on the camera. We’ll discuss you night vision requirements with you and make sure you get a suitable CCTV camera. Some clients express concerns about whether our cameras are vandal proof. They often know a friend who had cameras stolen. 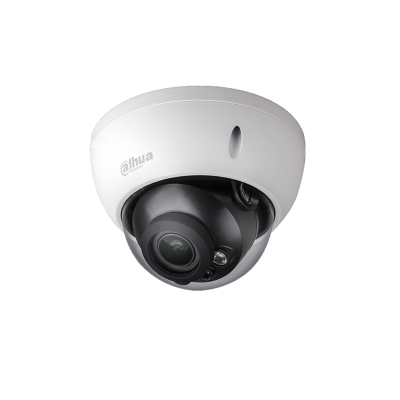 We will specify vandal proof cameras (such as the Dahua dome cameras) where applicable. You need not be concerned about missing important footage because your CCTV was stolen. Most external cameras will be IP67 compliant. That means that can withstand rain. We recommend mounting in a protected area (such as under and eave) because of the harsh Brisbane summer storms we get. DVRs and NVRs are essentially the same thing, one for analog and one for network cameras. They’re the box that records your security camera footage and allows you to view it locally or on your phone. Our systems are all viewable on mobile phones. Where required we’ll set that up for you as part of the install. Please request this as part of your quote. Fully installed quality CCTV security systems start from around *$2000 – *$2500. *Subject to Internet connection and suitable router, on site inspection, number of cameras, camera selection and Network requirements. If it’s peace of mind you’re after, our team of CCTV installation specialists are professionally trained to help you make the right choice. So let one of our qualified CCTV installers take the guesswork out of securing your home or workplace. We use quality CCTV security cameras for small businesses, large businesses, home or the office as well as for factories and warehouses – High Resolution IP CCTV Systems. Our new range of high definition analogue cameras and systems can use your existing cabling from your analogue system. Some of our IP systems are DIY install. Just position and plug in the cameras to the recorder and you are up and running.